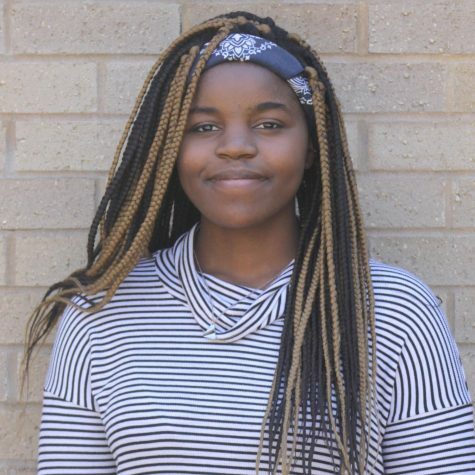 Zizwa Mitole, is a sophomore and John Adams High school. This is her first year as a reporter for The Tower. Mitole has lived in South Bend her whole life. She loves art, music, and books. She reads a lot and writes, too. Mitole enjoys theatre, and has been in many small plays. In her free time, you’ll find her making art and writing. Mitole is learning French and knows a little bit of sign language. In the next few years, she plans to master both languages so she can then become trilingual. Hanging out with her friends and family is something else that Mitole loves to do. Another thing she very much loves to do is watch her favorite crime shows like Law & Order: SVU, or Criminal minds, and sometimes Dateline. After high school Mitole plans to move to New York go to college and law school so she can become a lawyer.